Honorable mention to Little Monsters, premiering at Sundance 2019. A swell of well drawn, whole, and complicated Black female characters in widely accessible horror cinema has been the charge of Graveyard Shift Sisters since the beginning. With a firmly established celebration of the past, it is now thankfully a time where we can look towards a future of care and visibility for fresh, new images that'll have us talking for decades to come. 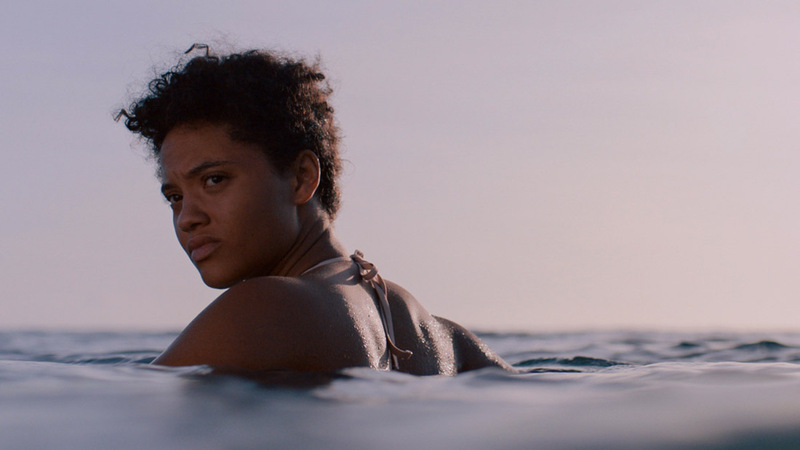 There are shorts and features, both independent and mainstream that are making an 2019 appearance to celebrate and support. Here are a few that will prosper the discussion and scholarship surrounding the black women's horror aesthetic. "In a near future NYC, Black Vampires walk amongst us" is a synopsis line summoning investigation. The immediate, solemn yet striking emotion in Suicide By Sunlight has overwhelmed me since Jusu began sprinkling bits of mixed media on social media. Simply, I'm thirsty AF for this journey about a Black woman with an insatiable taste for blood she must control in order to reconnect with her daughters. Funded by Tribeca's Through Her Lens program, Suicide By Sunlight has a demanding appeal and an assertion to reinvigorate vampiric lore. Peele's much anticipated sophmore effort had Twitter ablaze for days following the Christmas trailer release. Remixing a 90's hip-hop, party-friendly jam into a haunting echo equally matched with a middle-class Black family terrified by the reality of facing disturbing replicas of themselves, Us may just blow our minds with a twist we may not see coming. Dopplegangers in horror is nothing new, but Peele's insistence on having a Black family at the center with Nyong'o as the nucleus is. What is theorizing Black horror without unpacking the cultural particulars in a universal story of fear? 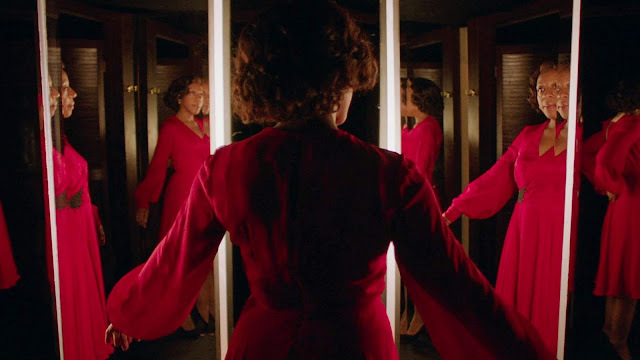 Described as complementary to the giallo ("Italian thrillers") works of yesteryear, In Fabric is the nightmare that blossoms from a red dress relic that when worn, has dire consequences. Sheila (Baptiste) appears to be the fatal fashion's next owner victim. It'll be fascinating to witness her potential unraveling (pun intended) in a retro, Southern England setting. In Fabric is a darkly comedic rumination on consumerism, and the hypnosis mixed with madness that follows. It's woman vs. creature in the description provided by Sundance where Sweetheart will grace its debut. Much of what is known to us gen poppers is still concealed at the moment, but a washed ashore young woman who will battle nature in its many forms in a horror/thriller will be exciting to see unfold. Dillard's "Guilt Trip", a segment from the digitally released anthology Two Sentence Horror Stories is an intentionally brutal, discomforting mirror on our behavioral prejudices and misperceptions. Through intimate angles, Dillard has shown a deep interest in genre storytelling with characters that react with a purpose. 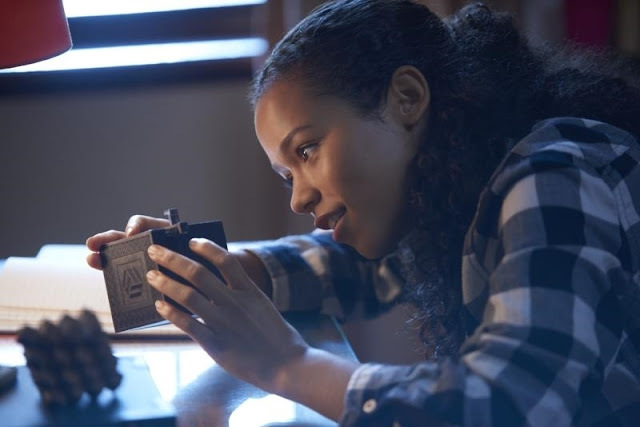 Five innocent looking strangers answer the call of an escape room adventure that is much more thrilling and dangerous than they could've ever imagined. That all sounds very popcorn and level one, and a good time if you're in the mood to see a handful of characters turn on each other and make a heaping of bad decisions in the name of survival. But forever the optimist, I'm always looking for a way major releases like these build on some sort of social address we're all privy or sensitive to. Russell is a relative newcomer, so seeing a company take a chance on her as the face of the film is delightful.